CURWENSVILLE – There’s no denying that musical theater draws its viewers in and transports them to a world where anything can happen. Most fans of the genre have a favorite production that they have seen many times and have memorized the lyrics and maybe even some of the dialog. Perhaps you are one of those people. If so, you will relate to the main character in “The Drowsy Chaperone,” which is the newest production from the students at Curwensville Area High School. The musical comedy, “The Drowsy Chaperone,” is the winner of five Tony Awards including best score and best book and seven Drama Desk Awards including outstanding musical, book, lyrics and music. It is a musical within a musical narrated by a sad, lonely man who is recently divorced and has retreated from the world. As the record begins playing, the characters come to life in his living room as he comments on the action with sly remarks about the actors and their interactions. In the story, showgirl Janet Van de Graaff, played by Rachel Young, has decided to give up starring in the Feldzieg Follies to marry Robert Martin, played by Isaac Gallaher, whom she has recently met. To motivate Feldzieg a little more, two comical gangsters (Christopher Daniel and Michael Daniel), who are employed by the biggest investor of the Follies, pose as pastry chefs to threaten him at every turn. Feldzieg comes up with a plan in which he hires self-obsessed Aldolpho (Jonah Bell) to seduce the bride-to-be, but the Latin lothario ends up mistakenly wooing Janet’s drowsy chaperone (Annie Mileski) instead. Behind the scenes, best man George (Daulton Richards) is trying to pull the wedding plans together. Other eccentric and memorable characters lead the viewers through the mayhem leading up to the wedding ceremony. Wedding host Mrs. Tottendale and her butler Underling (Kelsi Bumbarger and Nick McKeown), wannabe star Kitty (Mikayla Puzzuto) and Trix the Aviatrix (Carley Swatsworth) all contribute to the fun. 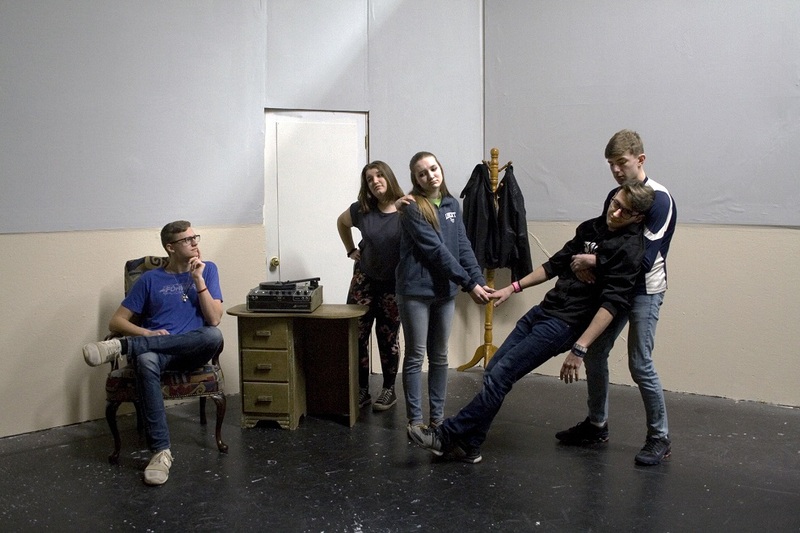 Other cast members Matthew McCracken, Alaina Anderson, Ava Brown, Kristina Buchwitz, Hannah Condon, Emma Crittenden, Jensen Duke, Liz Mileski and Hailey Sheeder help to bring both the present-day aspect of the show and the fictional musical to life. Throughout it all, Man in Chair tries hard, without success, to not jump into the action and save the day. The answer to that is a definite yes. You can join for the wedding — no gifts required — on Feb. 28, March 1 and March 2 at Curwensville Area High School. “The Drowsy Chaperone” starts at 7:30 p.m. nightly. All seating is assigned, and tickets are $8 each. Call or visit the high school office (814-236-1100) or check the school’s Web site for details about purchasing tickets.